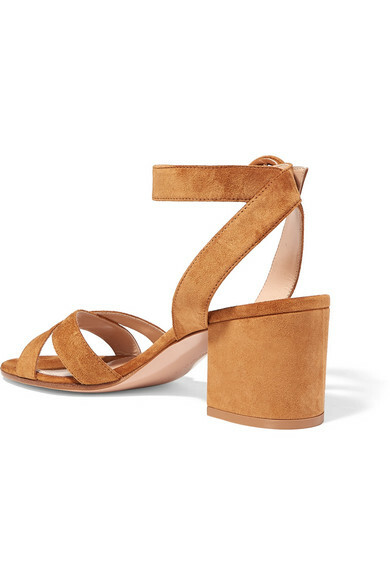 Gianvito Rossi's sandals have been made in Italy from smooth suede and hand-finished with cushioned leather insoles, so they feel comfortable even after you've been wearing them all day. 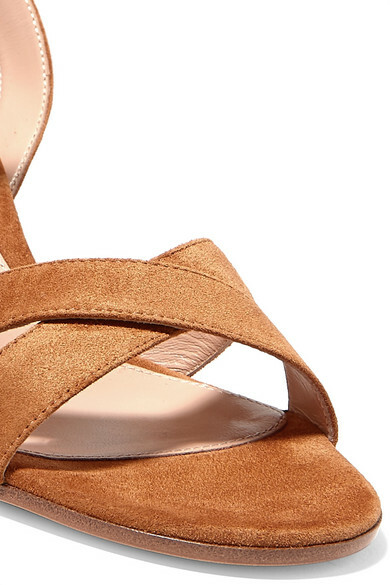 The elegant crossover straps elegantly frame the foot so make sure you have a perfect pedicure. The tan hue is versatile enough to be worn with everything from denim to this season's new neutrals. 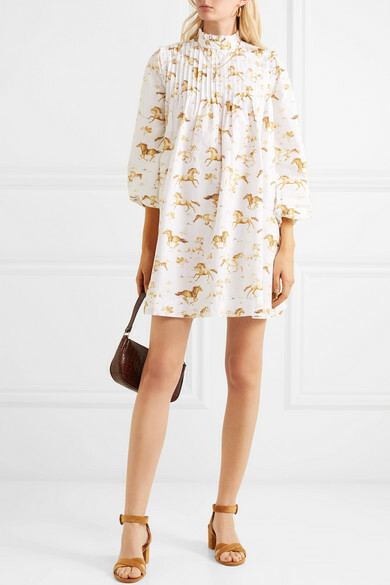 Shown here with: GANNI Dress, BY FAR Shoulder bag, Dinosaur Designs Earrings.